Breaking: Court Stay On Lakshmi's NTR Not Releasing Tomorrow? 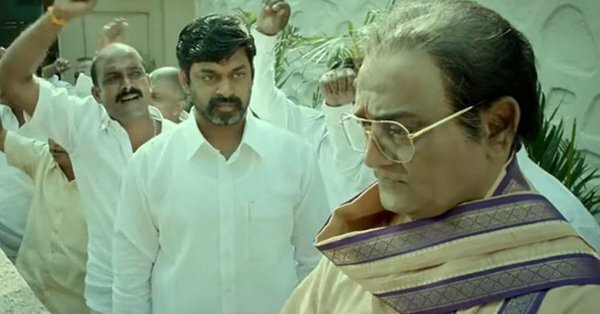 Going by the latest buzz in the filmnagar, Ram Gopal Varma’s Lakshmi’s NTR might not release tomorrow. Mangalagiri court passed an injunction verdict to stay the film’s release. The court ordered that the film’s release in the state has to be stopped till the completion of elections in the state. At the same time, the court also ordered the makers not to release the film across digital and social media platforms like YouTube, Facebook, Twitter and Instagram. Ram Gopal Varma, Agasthya Manju and the film’s producer Rakesh Reddy received were sent the notices of the same. Ram Gopal Varma and his team are in plans to approach the Supreme Court on this issue now. More details on the case will be updated soon. Stay tuned to us for more details on this case.